Parathyroid.com an educational site by the worlds leading parathyroid center. About Parathyroid.com, from the world's most experienced parathyroid doctors. Parathyroid.com is published and regularly maintained by the Norman Parathyroid Center, the world's leading parathyroid surgery center, to teach about hyperparathyroidism and the dangers of high blood calcium. The Norman Parathyroid Center is the leading parathyroid treatment center in the world, performing about 10% of all parathyroid surgery in the US. We are located in Tampa, Florida where hyperparathyroidism is the only disease we treat. We perform nearly 4,000 parathyroid operations annually (more than 79 per week) with a cure rate over 99% via an operation that typically lasts between 15 and 23 minutes (under 20 minutes average) to evaluate all four parathyroid glands. No other surgeons in the world perform parathyoid surgery the way we do, via our exclusive 2-surgeon, 4-gland, mini-operation. Virtually all of our patients go home within 2 hours of their parathyroid surgery. We strive to treat every patient like a family member and provide the most informative and timely feedback to referring doctors. We are the only doctors in the world that treat parathyroid disease exclusively. Parathyroid surgery -- specifically 4-gland-MINI-parathyroid surgery is all we do--and we do this same mini-operation on everybody, even those with negative scans. 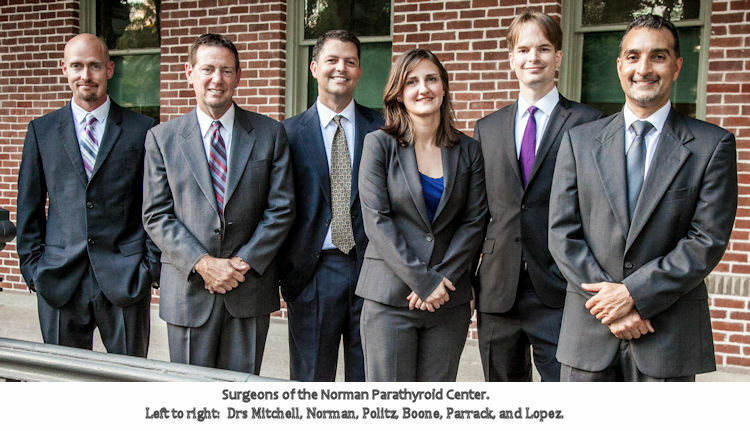 The Norman Parathyroid Center's success centers on a teamwork approach by the seven most experienced parathyroid surgeons in the world. We employ the most advanced surgical techniques used anywhere--many of which have been developed here. We have performed more parathyroid operations than any institution world wide, currently about 25 times more than any other hospital or university on an annual basis. 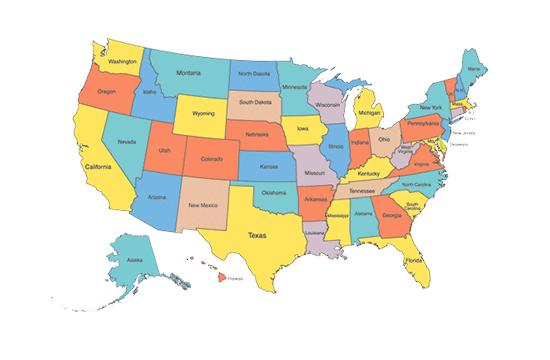 We enjoy a referring network of over 1400 endocrinologists from all 50 states. We operate out of the Parathyroid Center at Tampa General Hospital, a beautiful new facility built in 2011 for our practice. The Parathyroid Center is a self-contained, advanced surgical center on the top floor of one of America's largest hospitals. We have been awarded the "Best Hospitals in America" by US News and World Reports in "Endocrinology" and "Head and Neck Surgery" for the past 8 years, recognizing our expertise in the field of parathyroid surgery. 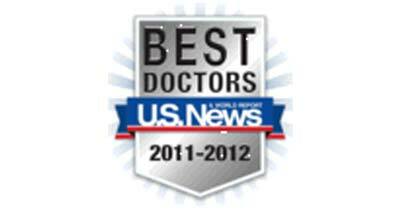 US News also ranks our surgeons within the top 1% of all surgeons in the US. Our hospital was chosen as the #1 hospital in Florida for 2012-17. Within the Parathyroid Center we have our own operating rooms which are used for parathyroid surgery only. The staff of the Parathyroid Center is dedicated to our patients only, thus each staff member has taken care of thousands of patients with hyperparathyroidism. The Parathyroid Center is so nice, our patients call it the "Parathyroid Palace". Patients can expect one visit to our center for about 4-5 hours where every aspect of their disease is addressed... from meeting expert surgeons, to getting scans and having the operation. One four hour visit and this problem is gone. Become Our Patient. The average US surgeon performs only a few parathyroid operations every year. Even most "expert endocrine surgeons" perform about 25 parathyroid operations per year1. Many "experts" only want to remove the ONE tumor they see on the scan and quit the operation--this is cheating; don't let your surgeon cheat you. You should demand an operation that evaluates all four parathyroid glands. The Norman Parathyroid Center performs more parathyroid operations annually than the top 20 US universities combined (see Medicare statistics). We have consulted on over 50,000 patients with high calcium and have learned a lot from this experience. We maintain the world's largest database of parathyroid patients, allowing us to compare even the most uncommon presentation of parathyroid disease to many just like it that we have seen previously. The reason for this very high degree of specialization is that Dr Norman was the developer of minimally invasive parathyroid surgery in the mid 1990's, and since that time patients with hyperparathyroidism come from all over the US, and 50+ foreign countries from around the world to have our surgeons perform their parathyroid surgery. See our MAP of where all our patients come from. Some are probably your neighbors! If you think the best surgeons are in Boston, or New York, then read our testimonial page and see why the surgeons and operating room nurses at Harvard, Hopkins, Penn, Yale, Columbia, Mayo, Memorial Sloan Kettering, and many other revered hospitals came to Tampa when they needed a parathyroid operation themselves. We operate on an average of 6 doctors per week. They come here because we examine all four parathyroid glands during our operations--we don't cheat you by only removing the one tumor that shows on a scan (if if shows on a scan!). What makes Ours the Best Parathyroid Operation? Our operations are unique to parathyroid surgery performed elsewhere in the world in that we 1) examine all four parathyroid glands in nearly all cases, 2) determine how active each gland is during the operation so that normal glands are not removed and all hyperfunctioning glands are appropriately removed, 3) compare each gland to the others prior to removal to account for variability seen in each patient, 4) have two extremely experienced parathyroid surgeons in every operation who are required to agree on the findings, 5) complete the entire procedure in most patients in under 20 minutes, 6) do not require endotracheal anesthesia in over 95%, and 7) allow nearly all to leave the hospital within 2 hours. We know of no other surgeons in the world that do ANY of these 7 things. Check All Four -- The Gold Standard Operation. It has long been known that the only way to achieve very high initial and long-term cure rates is to assess all four glands, but this is very difficult to do and requires many thousands of cases before a surgeon can accomplish this routinely—and why very few surgeons perform this gold-standard operation. Instead, nearly all surgeons chose to obtain x-rays and scans and then elect to remove only the gland that “shows” on the scan. In contrast, scans used to “find” the bad parathyroid gland play little if any role in our operations because we examine and test all four glands routinely. Negative scan patients have the same operation at our Center and are often the “easiest” technical operations. Thus, we prefer patients have no localizing studies prior to referral. Removing only the tumor shown on the scan results in a failure in at least 30 percent of patients. Measure the Activity of Each Gland so Normal Glands are Not Removed. Our unique assessment of the parathyroid gland’s activity (how much PTH is being produced by each gland) helps assure that abnormal (over-active) glands are removed, while helping prevent the removal of normal glands. There is no other method to accomplish these two critical components of successful parathyroid surgery. We assess multiple glands before we remove any of them so as to avoid removing normal glands--a problem that occurs in at least 50% of other parathyroid operations. Unfortunately for patients, the vast majority of surgeons will remove a parathyroid gland as soon as it is found so they can measure the PTH hormone in the blood to see if it decreases. If it does not, then they know the gland was normal (that they just removed!) and they go find another gland to remove and repeat the process. This method guarantees that normal glands are removed in most cases and in some cases all of the normal glands are removed. This problem is becoming of epidemic proportions in the US and worldwide as inexperienced surgeons perform this operation using PTH measurements in the operating room. About 10% of our practice is on patients who had a failed operation somewhere else, and about a third of them have lost their voice. Two Surgeons in Every Operation. Another unique feature of our operations is that we use the skills and experience of two surgeons (and sometimes three) in every operation. No case is concluded until two surgeons--both of whom have performed many thousands of parathyroid operations--agree on the assessment of the parathyroid glands and the thyroid gland. Nobody Learning to Operate on You. Parathyroid surgery is a highly specialized field and we are the only surgeons in the world who perform parathyroid surgery only. It is important to understand that we have the exceptional results because of our experience and techniques (above), but also because we don’t allow surgeons in training to participate in our operations as all university hospitals do. Let's face it, you didn't travel a long way to have a surgical resident try to learn surgery on you! Extremely High Cure Rates. Because of our 2-surgeon-4-gland assessment operation, we have the highest cure rates in the world. Although our cure rates are over 99%, we cannot cure everybody. The anatomy of the parathyroid glands is so variable that even when we use the expertise of all three surgeons present every operative day we occasionally cannot find a gland. If you aren’t cured, we almost always know it before you leave our center and will discuss this with you so you understand the problem and the potential solutions. We will follow along with you and find a solution--we almost always figure it out. It is a very rare patient that we cannot cure. Complication Rates Near Zero Because of our experience performing nearly 80 parathyroid operations per week, and having well over 30,000 behind us, our patients enjoy a complication rate of far under 1 percent. The national standards that surgeons are held to are a vocal cord nerve injury 5% or less (1 in 20 operations), which is unthinkable in our practice, where it is expected to be less than 1 per 2500 operations. Quick Operation, Small Incision Although we examine and test the parathyroid glands on both sides of the neck, we use an incision that is as small as any in the world, and much smaller than most. Our parathyroid operations typically last about 20 minutes. These quick operations require less anesthesia, are virtually bloodless, and allow nearly all patients to go home within 2 hours. Intubation for Anesthesia is Not Routine We do not routinely intubate our patients during anesthesia (don't put a tube down their trachea). About 95% of our parathyroid operations are performed without intubation. Patients benefit greatly from a quick, safe operation and wake up very quickly to go home. The Best Nuclear Medicine Team We work closely with what is unquestionably the world's best nuclear radiology team, performing nearly 40-times more hyperparathyroid Sestamibi scans than any other institution world-wide (and developing many of the techniques used for this study). Our scans take only 15 or 20 minutes and are better than the scans performed anywhere else in the world. We have a video of Dr Norman performing a 4-gland, mini-parathyroid operation in 12 minutes, removing two parathyroid tumors. The patient went home 45 minutes later. After you watch this, you can see why our surgeons have been awarded virtually every honor possible for doctors and surgeons. Even US News and World Reports magazine has ranked our surgeons in the top 1% of all surgeons in the US, with HealthGrades ranking us in the top 1% in customer satisfaction 11 years in a row. We take pride in treating every patient like they are our most important patient. You Can Have Your Parathyroid Surgery With Us. Parathyroid surgery is very delicate surgery and the outcomes (cure rate and complication rate) are directly correlated with your surgeon's experience. Our surgeons do not perform breast biopsies, gallbladder removals, hernia repairs, or perform abdominal surgery. Heck, we won't even see patients with thyroid disease unless they also have a parathyroid tumor. Parathyroid surgery is the only surgery we do. And, about 14% of the surgeries we do are on people who have already had an unsuccessful parathyroid operation by a surgeon with little experience (we do between 2 and 5 re-operations every day). Click Here to read more about how to become our patient, and read our statistics for our past 33,000 parathyroid patients. We are in-network and preferred providers for: Medicare, Cigna, Blue Cross/Blue Shield, Humana, Aetna, United Healthcare (through multiplan) and lots of others. Watch the video to see our founder Dr Norman examine all four parathyroid glands in 13 minutes and see why the best operations must look at the parathyroid glands on both sides of the neck--this patient had TWO tumors when the scan clearly showed he had one. About 30% of people will have more than one bad gland, and the only way to know if it is you... is to have all four parathyroid glands examined. Read what our patients from all over the world say about their parathyroid surgery experience at the Norman Parathyroid Center: Click Here. See a map of where our patients come from: Click Here. We track all hyperparathyroidism patients for several years following their parathyroid surgery. All laboratory data and surgical findings from our patients are entered into a large database maintained by a full time data entry employee. This is by far the largest database of parathyroid patients in the world. Thus we can use the information gained from many thousands of previous parathyroid patients as a comparison tool for all new patients. This allows us to predict who needs surgery and who is most likely to benefit from surgery. It helps us predict who will have one bad parathyroid gland and who may have more than one. This type of information helps the surgeons perform quick operations that have an extremely high cure rate. It also helps us avoid operating on people who don't need an operation! We take pride in publishing our parathyroid procedures and surgical results in some of the worlds most highly regarded medical publications. We publish major articles on hyperparathyroidism and the treatment of parathyroid disease every few months. Remember, the operations are performed at the brand new Parathyroid Center @ Tampa General Hospital not at our office. Out of town patients do not come to the office, but meet the doctors on our dedicated floor of the hospital. For information on the best way to contact us about having two (or three) of our expert surgeons take care of your hyperparathyroidism, see our page that outlines the different ways to phone / fax / email our staff, or submit a patient profile online--CLICK HERE. You read that correctly, our surgeons operate in pairs (or threes) and so you get at least two of the 7 most experienced parathyroid surgeons in the world taking care of you and participating in your operation--this is another way we achieve over 99% cure rates. We do not use surgery residents to do your operation, and our experts almost never operate alone. We perform all our operations at the new Parathyroid Center @ Tampa General Hospital, a special wing of the hospital designated for parathyroid patients. Why did we get the top floor of the new wing? Because we are doing something right! 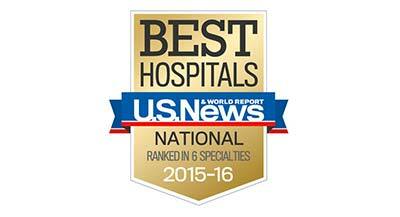 Tampa General Hospital has been named US News and World Reports' "America's Best Hospitals" for a number of years. In 2014 our hospital was selected in 7 different medical specialties, including "head and neck surgery" and "endocrinology". Of course, when they say: "head and neck surgery" and "endocrinology" they're talking about us. Take a video tour of our new Parathyroid Center and see the folks who will take care of you. * Footnote 1: National trends in parathyroid surgery from 1998 to 2008: a decade of change. J Am Coll Surg. 2009 Sep;209(3):332-43. Greene AB, Butler RS, McIntyre S, Barbosa GF, Mitchell J, Berber E, Siperstein A, Milas M.
Parathyroid.com has been reviewed and is accredited by the HonorCode Health on the Net Association assuring health information on the net is true, vetted, accurate, and regularly monitored. Check our Registration and Accreditation Here. This is an important online health accreditation watchdog to protect consumers from fraudulent online information. Parathyroid.com has been accredited annually since 1999. Parathyroid.com is recognized as the leading parathyroid information source worldwide and is maintained weekly by the worlds most experienced parathyroid doctors and surgeons. Over 2,500 other websites on this subject link to parathyroid.com. Parathyroid.com is the number one trusted source for information on the diagnosis and treatment of parathyroid disease in the world, with nearly 10,000 unique users per day. We average over 11,000,000 page views annually, more than all other parathyroid websites, online journals, and books combined. We work hard to make sure every aspect is fully researched, documented, and presented in a truthful way. All of the contained graphics and words are ours and ours alone. Please no plagiarism! Don't steal our graphs---ask us and we will probably let you use them! We are happy members of the HighBloodCalciumIsBad.com campaign to raise awareness of the dangers of high blood calcium. Like Art? Check out Dr Norman's daughter Ali's website AliNorman.com. She is an amazing young talent. 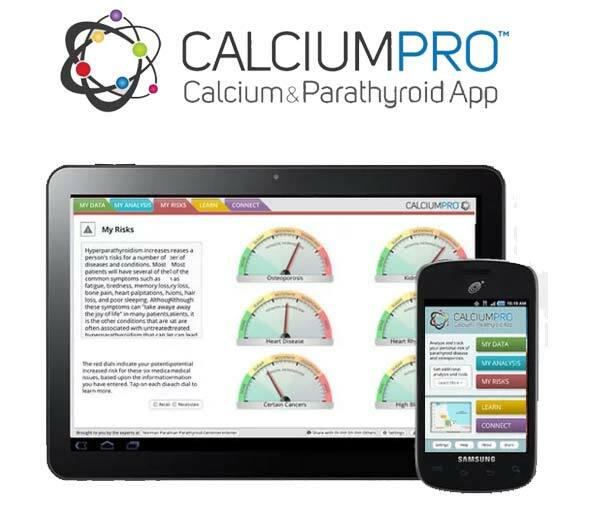 The Calcium-Pro app was a "Top-Three" finalist for "Medical App of the Year" for 2014. Check out this great app that will help you diagnose hyperparathyroidism quickly and accurately. Dr Norman was named the Health Care Hero for 2011 by the Tampa Bay Business Journal, recognizing him as the most influential physician in the Tampa Bay area for 2011, having the greatest impact on patients and the community. Parathyroid.com is a finalist for the Dell Small Business Excellence Award. Parathyroid.com is ICCS Certified by the iWatchDog Program for consumer protection assuring this site is safe, secure, private, dependable, and truthful. Parathyroid.com is a member of almost all internet security venues and is regularly reviewed by multiple regulatory companies for accuracy. Parathyroid.com has been reviewed and is "Surf Safe", does not contain offensive materials and is rated for all ages. This website does not accept advertisements. We are by far the most read information on parathyroid disease in the world. We are chosen #1 on Google, Yahoo, MSN, AOL, Ask.com, and many other web sites. We are linked to by over 300 universities and 400 hospitals. Dr. Norman's surgery video is featured on the National Institutes of Health (NIH) website. Parathyroid.com has won dozens of awards for medical web sites over the past 12 years. Even the editorial style of the site has been praised as "down to earth" and "incredibly easy to understand". Sometimes we are extremely blunt and to the point... sometimes to a fault. But, it seems to serve a purpose as we are teaching the world about parathyroid disease. Parathyroid.com has been listed as a "Best of the Web" for over 15 years. A video of parathyroid surgery performed by Dr Norman is the only video on parathyroid disease shown on MedlinePlus, a medical web site published by the National Institutes of Health and the US National Library of Medicine. Information from Parathyroid.com is featured prominently. Winner FWA "Favorite Web Award" 2004; voted by other web designers for healthcare content.